Pricing: kids, students $35, adults $55, read below for choir prices. Pay in cash or online. Welcome, a bit about me; For me, singing is all about happiness, self expression and connecting with others. I have experienced singing as a powerful way to grow my own self confidence and to reduce my sense of social isolation. My work is driven by my passion for fostering a sense of community and for people feeling empowered to express themselves through singing. I also LOVE singing in harmony. I decided to get into music about 20 years ago when I realised the work I was doing wasn’t making me happy. The first thing step I made was doing Nikky Berry’s “Reclaim Your Voice” course. Then I joined world music choir A Capellago. Then I did the Hagley Jazz course. From there I progressed to study at the CPIT Jazz School and then finished my degree at Canterbury University. I began teaching one-on-one while I was at Jazz School and haven’t stopped. I really love supporting people to find their voice and their joy, in singing. Most terms I host a community “Sing-a-Long” where my students, choirs, singing groups and friends lead others in an evening of singing. This is a super-safe way to experiment with performing. I have watched countless students get an absolute thrill from preparing and delivering from the stage in this way. This year I am teaching full-time so have many lesson spots, none in the evening, but all day Saturday. 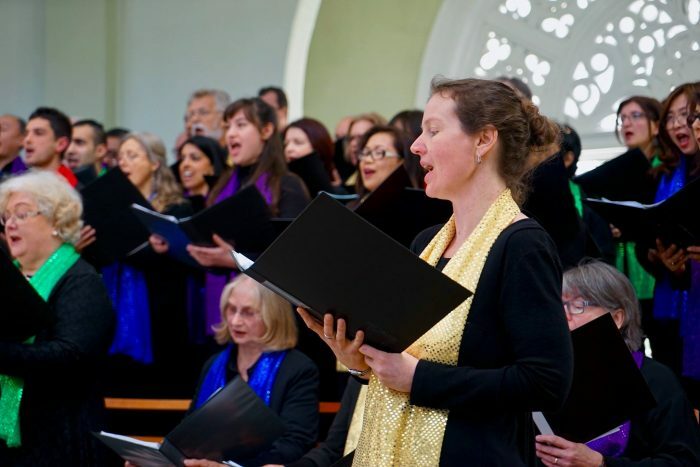 Community choirs for folks who love to sing in harmony. 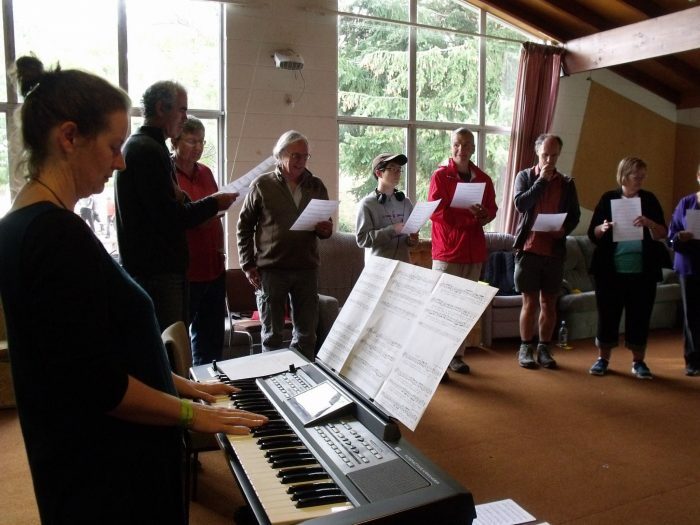 At present I run two choirs; The Harbour Singers who meet on Wednesday nights in Diamond Harbour and The Addington Haven Singers who meet on Thursday nights. The Diamond Harbour Singers are run by a committee of locals and you could contact Margie directly if you live over that way 03 329 3331. You can contact me re The Addington Haven Singers. Neither group requires an audition but you will need to be patient with yourself and others as we learn the music together. We sing any music that tickles my fancy – all in harmony. A willingness to increase your musicality by working on your vocal technique and rhythmic ability will please me very much. We are working on getting more playful and joyful in our singing. Moodswingers is a very low-key group who meet in the daytime on Thursdays. Everyone brings along song ideas and we sing along with youtube. Moodswingers are super-friendly and supportive, great for anyone who is available during the day and who just wants to sing with others. The cost is $5 per session. In 2017 I started learning the ukulele and we have a cool little group who sing and play along with ukuleles and guitars (or whatever instrument you have). It happens on Thursdays before The Addington Haven Singers choir. Many people come for both. I don’t teach as such but facilitate us playing together. It is a very easy-going group. We also have people join in who don’t play guitar or ukulele- but enjoy singing the songs and maybe playing some percussion. If you are interested text me first to make sure it is happening on the night you want to come. Thursdays, 6.10-7.20pm, $5 cost per week.